Psychic medium articles,including the clairvoyant, detailing spirit guides, divine override, indigo children, love and relationship readings, and extensive information about runes. As a professional psychic consultant for over 15 years and a channel/author of several books and psychic development courses, I have had many lessons regarding the dynamics of psychic phenomena; many experiences from which to draw wisdom. People have asked me over time what might be the difference between the process of channeling, that of clairvoyance, and the art of mediumship. A Spirit Guide or Guardian Angel is a spirit being that helps us on our journey through life. They know the outcomes of our choices. Spirit Guides may give us warnings, and may be responsible for strange coincidences that seem to protect us from harm. A guide will often teach through the Socratic method, rather than direct information. 3) Different Ways to Connect with Spirit Guides. If you remember the story of Joan of Arc and how she heard voices leading her in the direction of her destiny, then perhaps you maybe thought that she was special. In reality, we all hear voices or spirit guides directing our footsteps. My spirit guides almost always connect to me in the form of a stage as a cast of actors. Depending upon what help is needed for the questions at hand, my guides take on the appropriate costumes or sing appropriate songs. 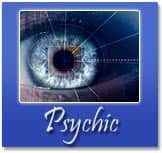 Have you ever had a psychic reading, and the answer to your question, had nothing to do with your question? You could have been talking about some situation at work and suddenly the psychic is talking about someone in your family. Or, you might have been asking about a situation with a friend, and suddenly your own personal health issues are brought up. Children exhibit very strong signs of any psychic ability. This is most symptomatic in their toddler years, the age when we are most psychic. Psychic gifts in children are very common. In fact, psychic children are often referred to as Indigo or Crystal children. There are many special powers in the psychic realm. For kids, the three most common abilities are telepathy, clairsentience, and clairvoyance. Love is a wonderful yet crazy thing. Many people these days are perplexed by the relationships that come and go in their lives, especially the important love relationships. One thing to keep in mind is that everything in your experience is present for learning. Meeting your spirit guide and guardian can be a very emotional and moving experience. It can be a milestone in your psychic development. You will realize that you are not walking life's path alone. Everyone has a guide and guardian. Meeting and working with our guides is a very different and personal experience for each of us. The most common question clients have when they come for a reading is "Tell me about my love life. - Will I have a happy love life?" Since I believe we create our own happiness I will not declare, "You will be happy" or say, "You will not be happy." However, as I look over their hands I can help a client understand his or her opportunities for happiness in their relationships. Runes are an alphabetic script used by the people of Northern Europe from the first century. It has also be used as a system of symbols used for magic and divination. Runes are an alphabetic script used by the ancient Germanic and Norse peoples. This alphabet is engraved into stones making them sacred. Runes are symbols inscribed on plastic, paper, wood, rock and any other material. One system of runes is called the Elder Futhark System. This system originally had twenty-four letters, beginning with the letter F and ending with the letter O.